“Khufu2” by _Khufu.JPG: byderivative work: Gospodar svemira (talk) – _Khufu.JPG. Licensed under Public Domain via Wikimedia Commons. 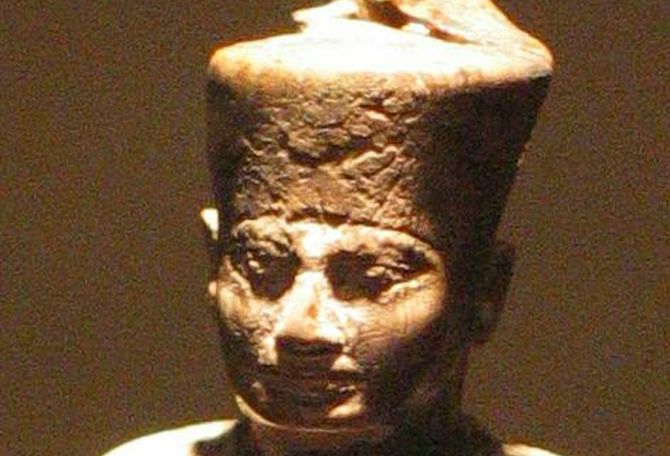 Khufu was a Pharaoh of Ancient Egypt’s Old Kingdom. He reigned from around 2589 to 2566 BC. Khufu was the second pharaoh of the Fourth Dynasty. He is generally accepted as being the builder of the Great Pyramid of Giza, one of the Seven Wonders of the Ancient World. Khufu is a primary example of the excesses of big government and megalomania. He virtually enslaved his people to complete his monumental but economically useless construction projects, and as a result emptied the state coffers. Although this kind of tyrannical rule was the norm rather than exception in the ancient world, his economic policies were so harsh and absurd, they brought the country to a financial ruin toward the end of his reign. It was even said that Khufu sent one of his daughters to work as a prostitute in order to generate more revenues to build the pyramid. Khufu’s increased burden of taxation and his cruel tyranny brought misery to the common people. So great was their hatred of the Pharaoh, they couldn’t even bear to mention his name.